Hello, Which is the best football games for android that works offline? Yes, you can have a ton of fun with offline soccer games on your android device for free, some of them let you customize your team with your favorite players, and others even let you compete against friends and family. So, if you are interesting to know want to know the best offline soccer game for Android os and download them on your device to start you enjoy, this articel is for you, just follow along below to see the top-rated offline football games on the Google Play Store. I'm not going on Advertising details about any soccer game, but will give some latest games that you must try if you Love football, and you don't have internet access all the time, so, let go! 3. Flick Shot 2: The object of this game is to perfect those kicks until you cannot miss them. 1. Dream League Soccer (Must try of you want a small game that has career mode, you can buy all players that are real and play against Real team, it also as online and lan multiplayer option so you can play with your friends too. Only Back is Graphics which are ok for such a small game) . 2. New Star Soccer - this I've played long time back on my Micromax-a101 which was unable to play any game greater than 100+MB . I won't say it's the football experience but it's a good time pass. You'll get bored after a month or so but it's worth a try. 3. Score Hero! - It's has two editors and I'm talking about club edition where you play Career mode. The game is Addicting and I only stopped once I've completed it. It's a puzzle type swipe football game, you'll love it. 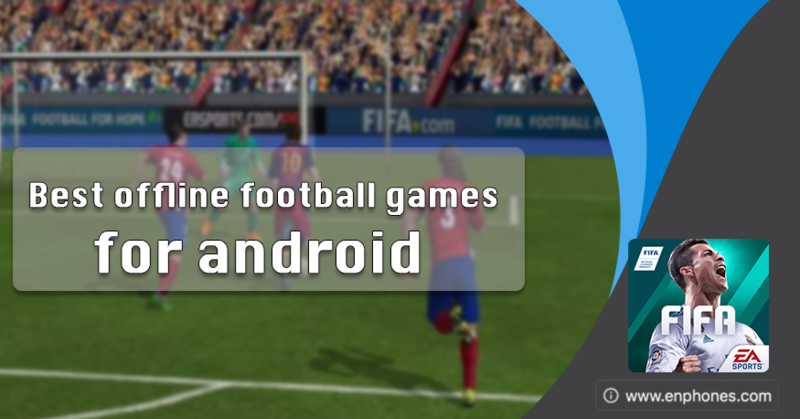 Please, comment and let us know if you know any other offline football games for android.